Vulnerable populations: The extreme events produced by the effects of climate change require strengthening the capacities to care for and protect children under the age of five. This page is a placemarker for a much more detailed article page, which can be found here. Perú, a mega diverse country in terms of climate —with 27 of the world’s 32 climates— is one of the countries that is most vulnerable to the effects of climate change. The temperature is expected to rise 1,6 °C degrees in the Andean highlands by 2030. Rains will occur out of season and will be heavier and more concentrated. Within eleven years, glaciers below 5.000 meters might have completely disappeared. And in another 40 years, it is estimated that communities here will have only 60% of the water that they have today. The publication “Yachaykusun: Lessons on climate change from the Andes”* shares the experiences generated through the implementation of practices that strengthen resilience under conditions of a changing climate. 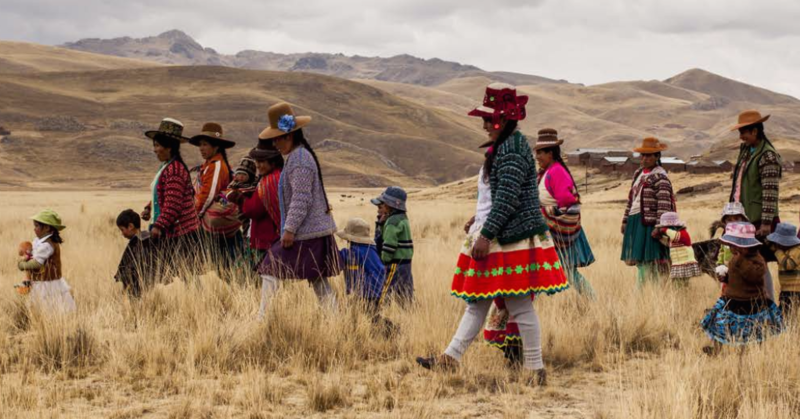 The main players in this story are rural peasant families and communities that live in poverty in the watersheds of Huacrahuacho (Cusco region) and Mollebamba (Apurimac region) in the Andean highlands. Through stories, photographs and technical files the publication provides a source of specific information about concrete actions that should be fostered to strengthen the resilience and adaptive capacity of rural families and communities that live in the ecosystems of the Andean highlands. It is hoped that this publication motivates and inspires others to replicate these practices, beginning with actions to promote initiatives at the public entity, private and civil society levels.